Washington, D.C.: In the last few days, it has come to light that Sen. Chuck Schumer fired his communications director due to complaints against him over sexually inappropriate advances toward junior staffers. 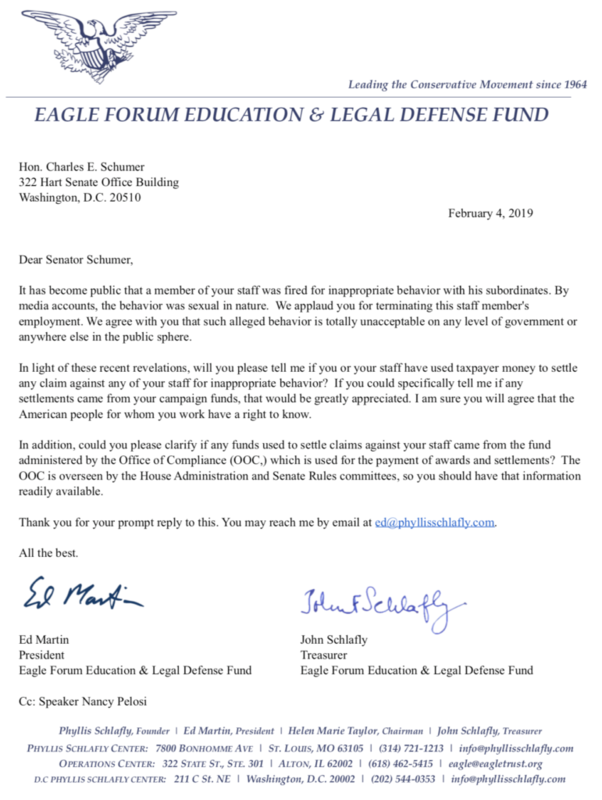 Phyllis Schlafly Eagles president Ed Martin today sent Schumer a letter commending the staff change and demanding this opportunity be used to reveal any taxpayer money used in sexual harassment cover-ups in his office and across Congress. The below letter was sent this morning to Minority Leader Schumer’s office as well as Speaker Pelosi.